That might very well be true. The question is which Jews? Meet Rabbi Arnold Jacob Wolf. But Obama was not embedded in the Jewish world; he was embedded in one specific Jewish world — a world of Jews who in the 1960s had opposed segregation and the Vietnam War and after 1967 applied the same liberal democratic principles when it came to Israel. Woven into the life stories of many of the Jews who most influenced the young Barack Obama was a bitter estrangement from the see-no-evil Zionism of the American Jewish establishment. In Chicago, those Jews constituted a geographic and moral community, a community that bred in Obama a specific, and subversive, vision of American Jewish identity and of the Jewish state. And at the heart of it all was Arnold Jacob Wolf. A Reform rabbi, Wolf spent 20 years as the leader of K.A.M. Isaiah Israel Temple, which is located across the street from the Obamas’ home in Chicago. Rabbi Wolf subscribed to the “blame Israel first” policy of American Progressivism, and like the future president was active with the Democratic Socialists of America. “I was certainly (hosting) one of the first,” said Rabbi Arnold Jacob Wolf, rabbi emeritus at Chicago’s KAM Isaiah Israel–located across the street from the Obama home. 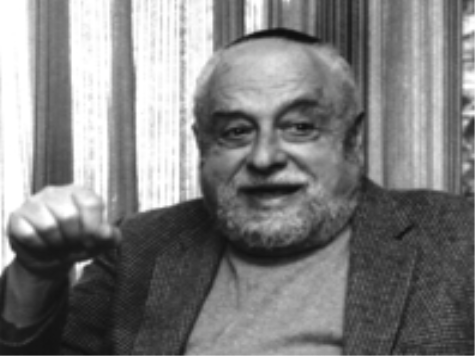 Before his death, Rabbi Wolf spent much of his career leading organizations seeking to criticize, and even delegitimize, the Jewish State of Israel. For example, along with radical MIT professor Noam Chomsky, Rabbi Wolf helped found the Committee on New Alternatives in the Middle East (CONAME) a philosophical grandparent to today’s faux pro-Israel group J Street. CONAME was described byTime magazine as one of a number of Arab or pro-Arab organizations working in the United States. An investigation by the Near East Report revealed that CONAME’s signature appeared on telegrams urging Congress to send no arms to Israel during the 1973 Yom Kippur War, when Israel was attacked by Syria and Egypt on the holiest day in the Jewish calendar. In fact Breira’s literature and activities have been directed single-mindedly to urging Israel to accept and the United States to pressure Israel to accept a Palestinian state on the West Bank and in Gaza under the leadership of the Palestine Liberation Organization. According to Breira’s Mark Bruzonsky, writing in December, 1976, in The Nation, “Breira’s only hope is so to weaken American support for Israeli policies as to force policy changes, by U.S. imposition if necessary. Understand that Breira’s calls for Israeli concessions to the PLO occurred long before the terrorist group renounced terrorism. …frightened and thus, inevitably, trigger-happy, besieged yet somehow also haughty, developing nation. Is this what a hundred years of Zionism has led to: more danger to Jews than in the golah [Jewish exile] itself, more recklessness and violence than in all of our long diaspora history? Some Israeli actions in the past (and, perhaps, even now) were designed specifically to demean Arabs. The deep penetration into Egypt, the destruction of the Beirut airport, the denial that Palestinians even exist: all these are, I believe, violations of the Jewish tradition, and they have cost our people dearly. It is important to understand that, in the article above, written the year after the Yom Kippur War, by “deep penetration into Egypt” Wolf is complaining about how the IDF crossed the Suez Canal at the end of the Yom Kippur War-an essential thrust that restored Israel’s self-defence capacity and set the stage for peace negotiations. And notice that Wolf doesn’t even mention the Palestinians’ quest to destroy the Jewish State. The Lebanon War was wrong. Continuing the occupation is wrong. The first Intifada softened Israel’s conscience; this one is hardening our hearts. Peace is not only a goal; it is the only way to the goal. Peace requires justice. If Amnesty International and the United Nations think Israel is repressive, they are not wholly wrong. If human rights leaders in Israel detail over and over again how the government has failed its Arab and Palestinian citizens, we must pay attention. We cannot avert the gaze of our conscience. Even after his retirement in 2000, Rabbi Wolf stayed involved with his favorite radical causes. He was a member of the Rabbinic Cabinet of Brit Tzedek v’Shalom, the Jewish Alliance for Justice and Peace, a group that says its mission is “to educate and mobilize American Jews in support of a negotiated two-state resolution of the Israeli-Palestinian conflict.” In actuality, it took a one-sided anti-Israel stance. For example, Brit Tzedek defined “terrorist violence” as part of a pattern of Arab “resistance,” implying some measure of approval, or at best a lack of distaste. The group also helped to make Rachel Corrie a “martyr” for pro-Palestinian activists, even though videos show Corrie was “playing chicken” with the bulldozer and could not possibly have been seen by the driver. Similarly, freshman Congressman Rahm Emmanuel signed on the resolution asking for an investigation of the death of Rachel Corrie, an international peace volunteer, non-violently attempting to stop an IDF house demolition in the West Bank. These are among the signs that Jewish politicians are feeling they can safely deviate from the usual conformist stance. We need to endorse these little steps and work to convince them to take others. Looking into the positions of Rabbi Wolf gives great insight into President Obama’s attitude towards Israel. Many of the President’s positions on Israel, including his rifts with Netanyahu, can be seen in Wolf’s writings.